Get up to speed on nanotechnology and the many biological, chemical, physical, environmental, and political aspects of this developing science. Linda Williams is a nonfiction writer with expertise and experience in the fields of science, medicine, and space. She was a former lead scientist and/or technical writer for NASA, McDonnell Douglas, Wyle Labs, and Rice University. 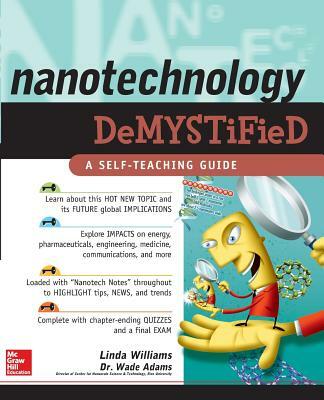 Williams is also author of Chemistry Demystified, Earth Science Demystified, and Environmental Science Demystified, all by McGraw-Hill.Wade Adams, Ph.D. is a Senior Faculty Fellow in the Department of Materials Science and NanoEngineering at Rice University, Houston, TX. He has written more than 190 publications, including several review articles and two edited books.